All Content © Hello Boudreau 2013. Powered by Blogger. I am completely craving fingerless leather gloves after seeing them on Carole Radziwill on The Real Housewives of New York City a few nights ago. OK, Ok my roommate loves that show so sometimes I watch it. But right now I'm thanking her for having it on (thanks Amy!) 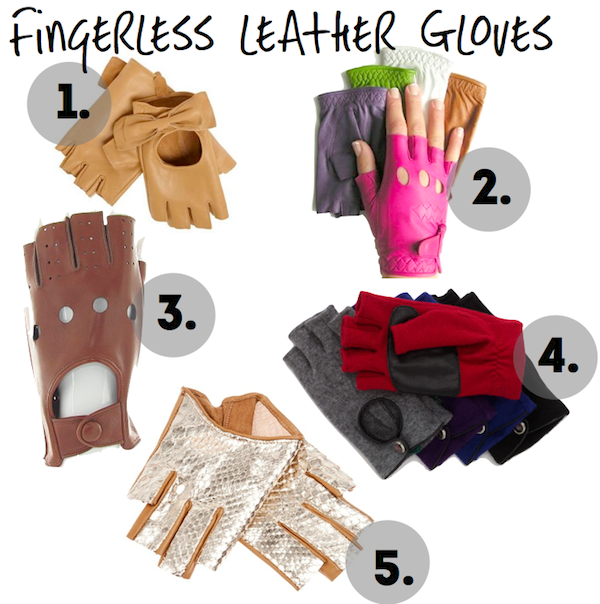 because I caught a glimpse of a fall must-have for me - fingerless leather gloves. Rachel Zoe used them in her show at NYFW too, so i'm good to go. What do you think? Would you wear them? Perfect for iPhone users! Gifts | Wayfair Holiday Gift Finder! Find the perfect gift for everyone this holiday season. Your comments mean the world to me! They literally make my day. I read & appreciate them all. Fall Accessories - On the Cheap! From Fashionista to Farmgirl | An Announcement!